Are you looking for a church home? Divine Tabernacle Church is where your Family can Worship together every Sunday @10:30 am! Bring the whole family, we have something for everyone. Leadership, diversity, relevant messages, discipleship, youth ministry, missions, and outreach. presence of the Lord" Acts 3:19 Family Worship! 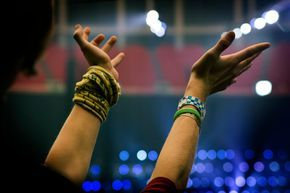 We believe that worship is essential for followers of Jesus Christ. Worship is personal and intimate at our services. It also invokes the Spirit of God to move throughout the service. Come worship with us! Join us @10:30am for a Family Worship Service at Celebration Event Center, 2165 W Park Blvd. (next to Walgreens) Plano, Tx. 75075 The Event Center is very inviting and pleasant. You will love the liberty and kindness at the church. Everyone is welcome and your needs will be fulfilled! Divine Tabernacle Bible Church is full of Praise and Worship! We believe that Worship brings the presence of God into our mist. Lift up your hands and allow the Holy Spirit to breath afresh on you! Family worship is great in Collin County, Texas!